Have you heard of Neogence Hyaluronic Acid Hydrating Series before? The lab-dermalogical skincare brand from Taiwan has finally landed in Watsons Malaysia. Launched in 2005 with its Hyaluronic Acid Hydrating Essence, which topped any sold product at the time in purity and concentration levels, Neogence for 13 years has carried on in its mission to provide cosmeceutical products that are safe and instantly effective. I have been a huge fan of Neogence Hyaluronic Acid Hydrating Essence since many years ago when my friend first introduced them to me. It has been saving my dry skin especially around my cheeks and nose area. I would normally suggest to them to use it before applying makeup as it helps my makeup to stay longer than usual and the best part is that my makeup does not feel cakey at all. Now that they have the whole Hyaluronic Hydrating Series, this will definitely help to target moisture boosting and improvement in dryness for those who have super dry skin. What I love about Neogence is that they are free from heavy metals, paraben, alcohol, fragrance and dye. The brand also does not test on animals. With an extensive line of Hyaluronic Acid Hydrating Series which consists of 13 products, there's no doubt that the basic can do also the job to ensure that your skin is well-moisturized. 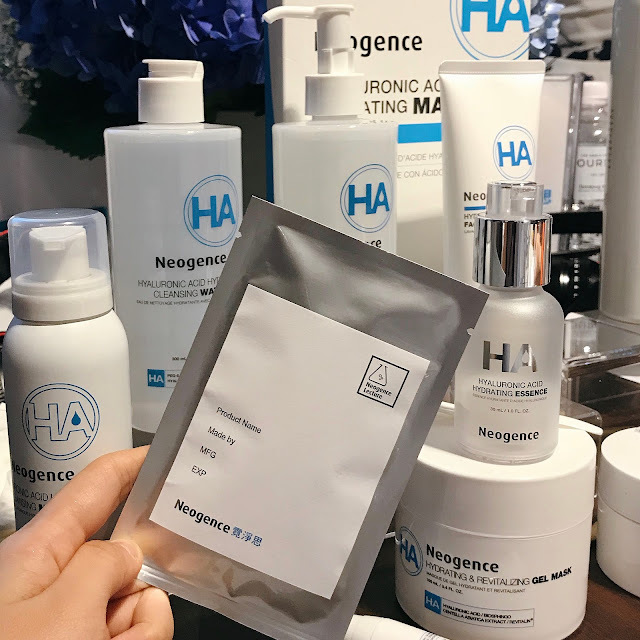 Neogence introduced an innovative 3-step moisturizing technique in 2005, Neogence A.H.P.S (Activating Hydrating Pumping System), which simulates the skin's natural hydrating shield. By following the steps using Hyaluronic Acid Hydrating Lotion, Hyaluronic Acid Hydrating Essence and Hyaluronic Acid Hydrating Fluid, the users will definitely experience a visible improvement in dryness and moisture boost in the skin. Hyaluronic Acid Hydrating Lotion is infused with Hyaluronic Acid and Tomare for optimal moisturizing. It helps to tone the skin after washing and maintain the skin hydration level for ideal nourishing. The lotion is alcohol-free and suitable for use after sun exposure and cosmetic procedures. Hyaluronic Acid Hydrating Essence is a pure, highly concentrated hyaluronic acid complex that offers comprehensive replenishing. The serum forms a moisture-retaining layer on the skin providing instant hydration. You can use in combination with other products for maximum moisturising effect and to prime for further nourishing. I love how it is lightweight and oil-free. The serum also provides mild care for all skin types and post-treatment skin. Hyaluronic Acid Hydrating Fluid is a moisturizing solution that repairs and enhances the skin barrier. Hyaluronic acid-infused fluid combined with our three key ingredients - ceralipid, squalane and virgin olive oil extract effectively repairs skin while enhancing the skin's barrier against environmental irritations. It is formulated specifically for combination to oily skin or for warmer days when skin is prone to get oily. Neogence team was so kind to organize a lucky draw and I am fortunate enough to win a lucky draw and managed to bring home their Facial Cleansing Brush set with me. Thank you Dr Hsieh! Neogence Hyaluronic Acid, Pore, N7 Mask and N3 Mask range are now available at 58 Watsons stores nationwide. For more information, please visit their official website @ www.neogence.com or Facebook and Instagram. 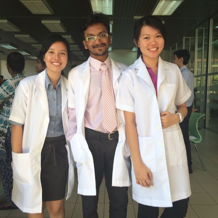 If you wish to check out their products, do take a look at Watsons Malaysia too. Thank you Neogence for having us!